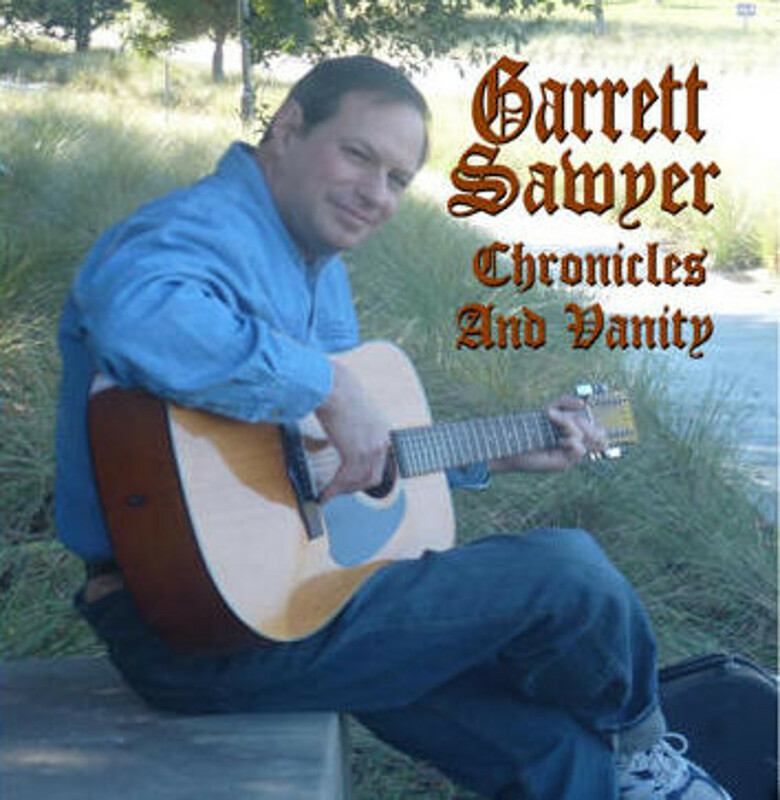 Garrett Sawyer is a singer songwriter from Southern California and Chronicles and Vanity is his third release. The cover art is of a nice looking middle-aged guy relaxing in a park, strumming a guitar. Just like you cannot judge a book by its cover, this photo does not prepare you for the music. You will not hear troubadour or folk music, instead Garrett has a gritty voice that hints a bit at Bruce Springsteen and all of the 12 songs on this disc are folk-rock numbers. Garrett has a poetic bent to his lyrics that you cannot appreciate by merely listening to the music. You have to invest some time reading them to understand what each song is about. Topics are pretty odd: yearning for space flight, a vet returning from the war in Iraq, drudgery of a dead end job, getting laid off and having your home foreclosed, a mentally damaged woman, etc. Not exactly upbeat material! The downside to the music is that after the first couple of songs, everything starts to sound the same. The sound is muddy, Garrett’s vocals show a lack of emotion and range, there is a lack of variety between songs and styles, and the songs tend to follow the same format of a slightly moving up then down phrasing of each line in a verse interspersed with a chorus having a few more notes. He likes to think of himself as a lyricist somewhere between Paul Simon and Bruce Springsteen, sounding a bit like Ian Anderson singing folk-rock. I don’t get it. He is a good lyricist, but some are so poetic/obscure that I find it difficult understanding the subject matter like on the song “Neil Sends Regrets.” Obviously the song is about someone named Neil, but for the life of me, I don’t know what he is regretting nor to whom he is sending his regrets. Taken as a whole, the listener will rapidly become bored with the songs. This CD is best savored by listening to one song at a time with plenty of other music in between. If you want to sample his music, you can download a free copy of his song “One Falcon Down” from his web site. How Slow Can You Play?